Hanna Andersson's big twice-a-year sale became a lot more interesting today. They reduced the sale prices by 30%, causing many of the pieces to undergo a 75% reduction from full price! The most exciting thing (to me, at least) is that there are several pajamas included in the sale that are marked down to $16-$19. Including the cool Star Wars short pajamas pictured above. 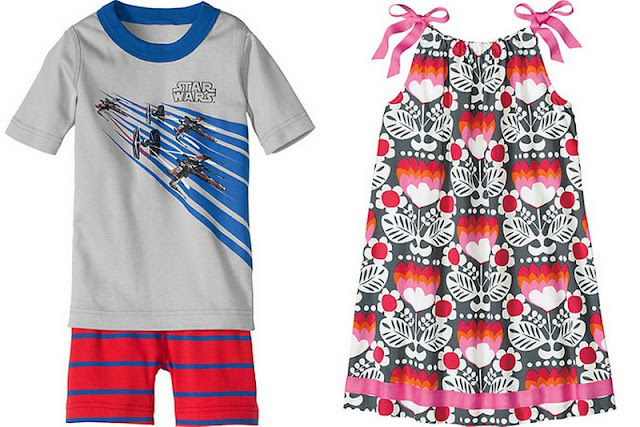 Yes, Hanna Andersson came to an agreement with Disney and now carries Hanna quality Disney princess and Star Wars pajama sets (many of which are on sale right now). The cute pillowcase dress above is $10.50 (and many, many other dresses are in the $10-$14 range). 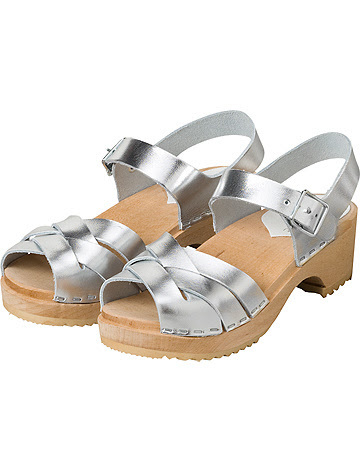 And the cute sandal clogs below? Marked down from $62 to $26.60 (still available in silver and black). 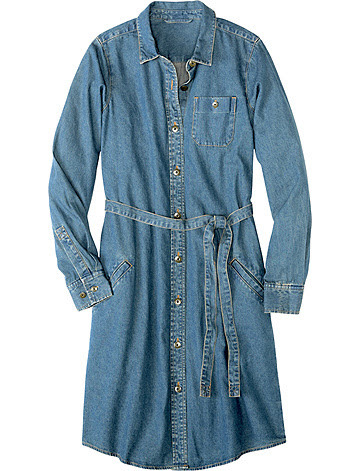 And, not to exclude the mamas, have a look at this great chambray shirtdress, marked down from $98 to $26.60. This would be a really versatile all-year dress and that price is hard to beat. Last I looked, there were sizes small and medium still available. Other notable discounts include all summer sun hats, swimwear and even some $21 Saltwater sandals in size 8 toddler (available in purple, gold, white and magenta pink). Shipping is still pricey, so if you have a Hanna Andersson store near you, stop by! That is great! I will update the post to direct people to their local store. Thanks so much for letting me know... we have no Hanna Andersson stores in Phoenix. Happy Fourth to you and yours!